This man used to run one of the largest rave forums in Montreal. Thousands of people flocked to his site, and over time, he built up something of a cult following. Women threw themselves at him, men gave him free drugs, and he had VIP access to all the best clubs and parties in Montreal. Unfortunately for this one time party maven, his time at the top of the party scene was short lived. It came crashing down in 2004 when he was busted selling heroin to minors. His days of incarceration have just come to an end, and now that he's a free man, he's trying to get back into the rave scene. Things have changed though. 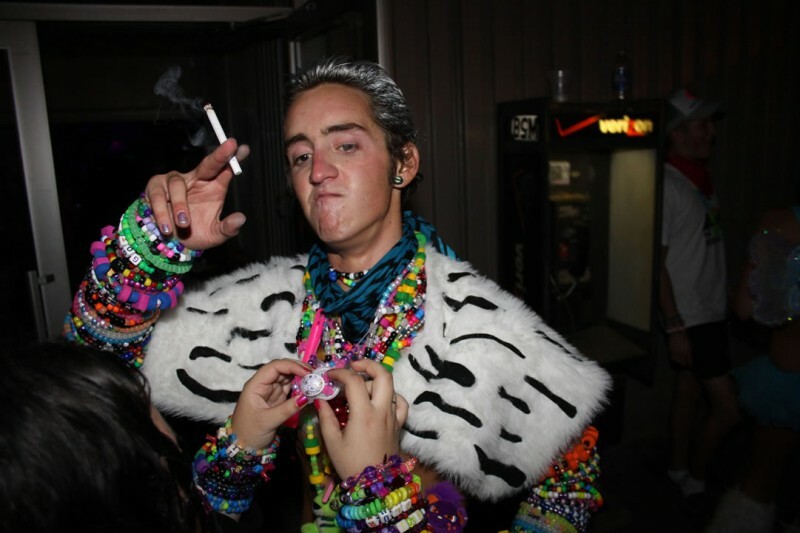 His old friends have grown up and moved on, and the new generation of ravers don't care for him. He's bummed out about his fallen status, and is desperate to claw his way back to the heart of our city's nightlife. He was never the brightest bulb, and his time in prison hasn't changed that. A few weeks of freedom have convinced the man that the key to reversing his pariah status is by engaging in some good old fashion blackmail. He still has a copy of his old forum's database, and that database has thousands of user names, email addresses, and passwords in it. He's been spending most of his freetime checking those passwords and email addresses against each other, looking for hits. Many of those email addresses have died over the last six years, but some of them haven't, and out of that minority of still active email addresses is a smaller minority of people who were stupid enough to not only keep the same password for six years, but to use that same password for both their email account and his former website. Thanks to his sleuthing, he currently has access to over three dozen email accounts. He's been digging through them looking for material he can use against people. He's already found a treasure trove of naughty messages and pictures that he's using to squeeze folks for cash, drugs, and party favors. As rumors of his crimes begin to spread, more and more of his former friends are crawling out of the woodwork to call him out on his douchetastic ways. Years ago, these people were his most ardent of supporters, and now they've realized the error of their ways. Young ravers often idolize villains. Even now, countless ravers are idolizing narcissistic sociopaths who don't care a lick about anyone but themselves. That's why ravers should take frequent inventories of their friendships, and ask themselves if the people they invest their time and energy in deserve it.